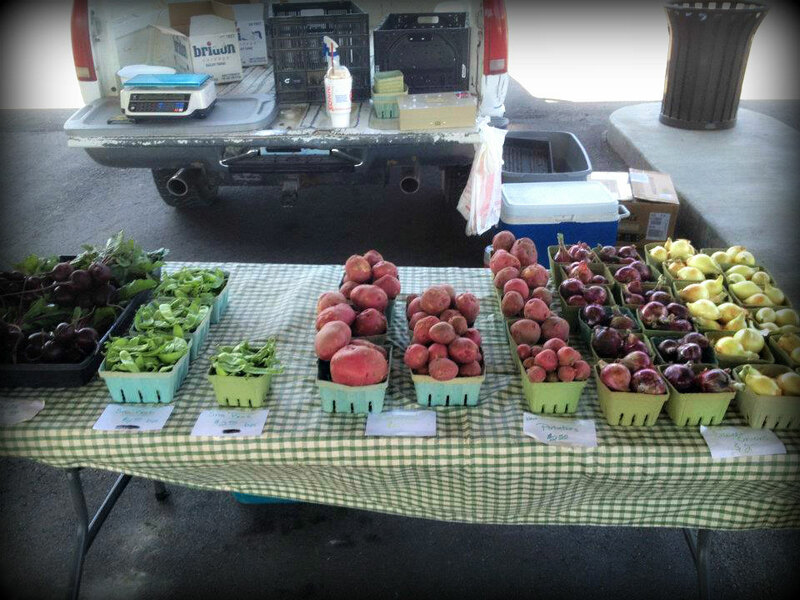 River’s Edge Produce is a family owned and operated farm that sells locally grown produce at Farmer’s Markets. We sell a wide variety of the highest quality vegetables while specializing in farm fresh strawberries, tomatoes, sweet corn, and we have recently expanded to add tuberoses as well. You can find us at multiple Kansas City area Farmer’s Markets, such as the The City Market, located in Kansas City, MO, Parkville Farmer’s Market in Parkville, MO, and The Leavenworth Farmer’s Market located at Haymarket Square, Leavenworth, KS. Owners Gary and Shelley Oberdiek live on their farm in the Missouri River Bottoms near Farley, Mo. Gary is a 3rd generation farmer and Shelley manages the produce business that is an extension of their traditional farming operation. You will find their three adult children Tarra, Zach, and Sydney selling at market, sometimes accompanied by their grandkids.